How can you rent out a property in New Zealand? 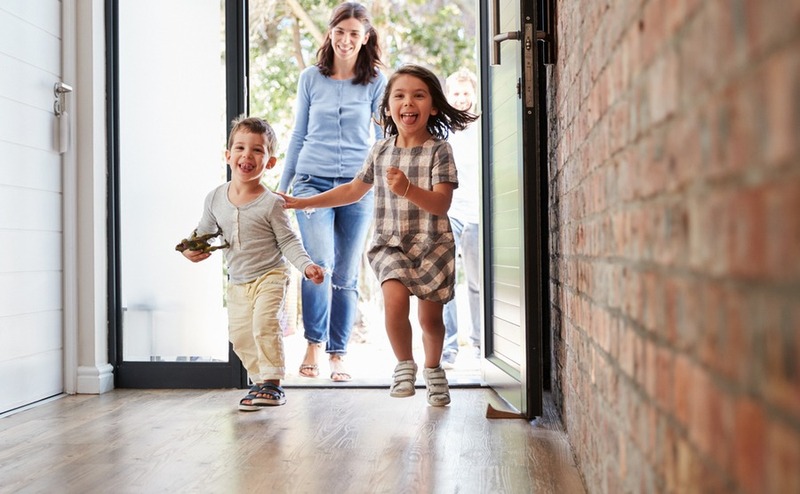 With prices rising again, excellent rental yields and the chance to allow relatives visiting from the UK to use the property, buying a rental property can make sense. This article explains why, how and what you’ll probably pay, and earn, from a New Zealand rental property. Hang on, you may be thinking, we haven’t even moved to New Zealand yet, why would we be considering renting a property out? There are several reasons. Firstly, New Zealand feels like a property market to be investing in. If ever a country looked well-placed geographically for long-term success, this spacious, beautiful, English-speaking and friendly country is it. New Zealand prices are rising again too, after a brief hiatus. But you’ll need to get an income from the property. Secondly, it being so far away from the UK, one popular option for parents and grandparents of emigrants is to buy a property to stay in when they visit each year. That way they don’t impose on the family in New Zealand, and it can earn a rental when they’re not there. It can also be a potentially lucrative business opportunity for a young family in New Zeland to manage. Boost your purchasing power by buying with family. Download our guide to learn about joint ownership. Thirdly, there is great demand for rental homes. New Zealand currently welcomes around 3.5 million tourists each year. But according to a report from New Zealand’s Ministry of Business, Innovation and Employment (MBIE), this number is expected to reach 4.9 million by 2023. Fourthly, many potential renters may be put off by the widespread belief that you cannot buy in New Zealand as a non-resident any more. When Jacinda Ardern became Prime Minister at the end of 2017, she announced plans for a bill banning foreign property investors. In fact, however, this has been watered down and you are only prevented from buying existing and resale property. You can build your own home in New Zealand, or buy in a new and modern development. These are often much better as rental properties anyway. As of June 2018, the median sale price of residential property in New Zealand is NZ$525,000 (£265,000). This is slightly higher than the UK average, where the average is £225,500 but there are some serious bargains to be found in even the most scenic (tourist friendly destinations). Your first port of call should be Tenancy Services within the MBIE. 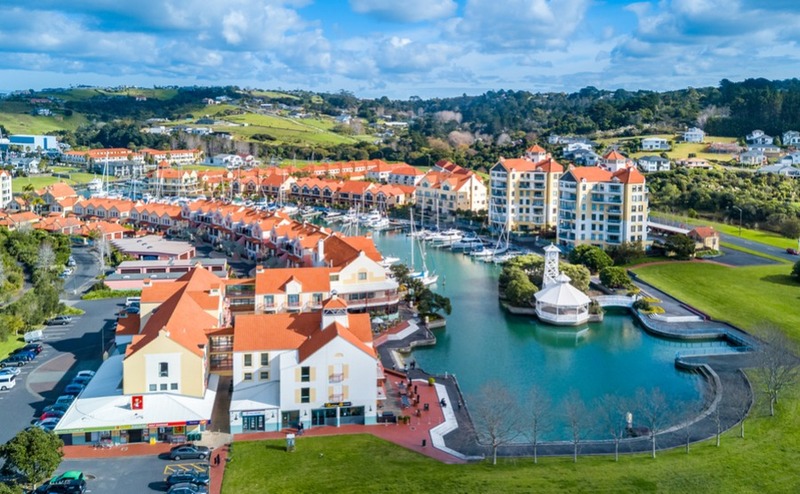 Whether you want to rent as a holiday let or take on short-term or long-term tenants, they will be able to offer you comprehensive guidance on all aspects of rental tenancies in New Zealand. Your property needs to be a safe and healthy place for people to live. As a landlord, must ensure it complies with various laws and health and safety requirements surrounding electrics, water, the property’s structure, plumbing and security. You can read and exhaustive list of the legal requirements here. You must carry out regular inspections to ensure that everything is in working order. The problems for owners 11,000 miles away are obvious, but there is no shortage of property management companies to manage the rental on your behalf. They will take care of things like lawn or pool maintenance, cleaning, key holding and managing all of the rental contracts. Put yourself in the shoes of potential tenants. Certain features will attract certain tenants. For example, if you want to rent long-term to a family – features like a two-car garage, washer-dryer, Wi-Fi and proximity to schools and public transport will all appeal to your demographic. If you’re hoping for holiday lets, features like hot tubs, log-fires and swimming pools are really going to help you bump up that rental fee. Your biggest markets will be New Zealanders themselves, then Australian, Chinese, US and UK tourists in that order. All are discerning markets, with heavy social media use. So if you don’t want to be slaughtered on Trip Advisor etc, be a good host! Prepare local guides, guides to the property etc. Stock the cupboards with tea, coffee, shampoo and so on. Before you even buy property in New Zealand, you need to be considering what type of tenant you hope to attract. Your intended demographic should inform your purchase choice. Before anyone can move in, you need to fully insure your property. Take out insurance specifically for your rental property, that protects you against any damage to the property or its contents. If you are taking on long-term tenants, they will need to take out a separate insurance policy of their own. 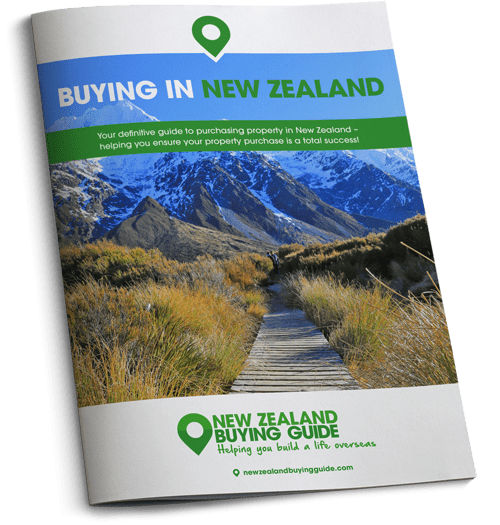 Make sure to get your free copy of the New Zealand Buying Guide – it covers everything you need to know about buying in this country. If you have a visa that allows you to live and work in New Zealand, and you make the move permanently – you will be liable to pay tax in New Zealand. This is done via New Zealand’s Inland Revenue Department (IRD) and the New Zealand tax year runs from 1 April to 31 March. If you arrive in New Zealand mid-way through a tax year, or you overseas income, you will need to file a tax return within the first year in the country. You can read all about how taxation works in New Zealand, and how it applies to people with assets and income in multiple countries on the IRD website. Furthermore, we highly recommend you consult a tax expert when you move to New Zealand. Every individual’s circumstances differ. A tax expert will help ensure you aren’t paying twice, or over the odds. First the good news. In New Zealand there is no inheritance tax, general capital gains (although it still applies to certain investments), social security tax or healthcare tax. There are also no local or state taxes, apart from those levelled on property by local councils and authorities. These rates depend on where your property is located and the bill is sent out at the very start of the tax year. Whoever occupies the property pays these taxes. Therefore, if you have a long-term tenant – this is for them to handle. For a holiday home or short-term let, you foot the bill. While rates vary depending on local councils, the average is $1,000-2,000 (£500-1000) per year. This fee is essentially the New Zealand equivalent of council tax. It covers matters like street cleaning, rubbish collection, recycling and so on. Also, we highly recommend opening a second bank account for your rental property or properties. This will be much easier to manage. Tax obligations on a holiday home? If you have a home that you sometimes use yourself, but also rent out to holiday-makers when you’re not in town, or if it’s left unoccupied for more than 62 days per year, this is classed as a “mixed-use holiday home”. If you earn less than $4,000 (£2,000) per year through a mixed-use holiday home, you are not obliged to include the income in your annual tax return. However, if you choose this route, do bear in mind that you won’t be able to claim any expenses back on the property. Am I eligible for tax concessions? If you have income from overseas investments or pensions, you may be able to be exempt from New Zealand tax for your first four years in the country. Whether you are eligible for exemption will depend on whether you are granted ‘transitional tax status’. Read more about this here. Although you’ve made the move to New Zealand on a permanent basis, chances are that you will have obligations in the UK to honour financially. Also, at some point, you will need to transfer money from the UK to New Zealand. When you have international currency transfer needs such as this, it’s important to have a currency strategy in place to ensure you get the most bang for your buck every time you transfer. Did you know that every time you transfer from the UK overseas, the amount you end up with in your new currency will depend entirely on the exchange rate it’s transferred at? In some instances, this can work in your favour, in others, you can end up losing money. At times, these losses can be significant. We advise employing the services of experienced currency expert Smart Currency Exchange. They have been helping people to move abroad successfully for more than 20 years. They will secure a fair exchange rate and can lock that rate in for up to a year ahead. Click here to be put in touch today.